In the twenty plus years that I have lived in Southern California, I have visited most of the neighborhoods in the sprawling city of Los Angeles that I call home. One of the most celebrated enclaves in the city is West Hollywood. The heart of WeHo, as it has been called, is the Sunset Strip and the Santa Monica Boulevard corridor. It is home to many restaurants, nightclubs and trendy boutiques. Perhaps the most famous and enduring night spot is The Troubadour. It is located on Santa Monica Boulevard on the west end of the area and is just a stone's throw from Beverly Hills. 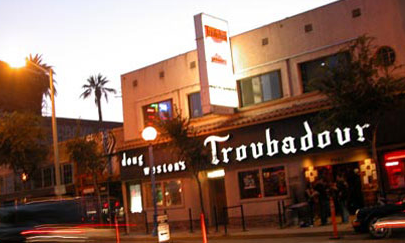 The Troubadour has been in business since 1957 and has been a jumping off point for many celebrated careers in popular music. The joint started making headlines the first year it opened with the arrest of Lenny Bruce on obscenity charges. The Byrds met there in 1965 at an open mike night and performed Tambourine Man for the first time on its stage. Buffalo Springfield performed live there for the first time in 1966. In 1968, it is where Joni Mitchell made her Los Angeles debut. Richard Pryor recorded his first live album at the Troubadour. To this day, many new and upcoming acts grace the small stage at this legendary and still trendy venue. 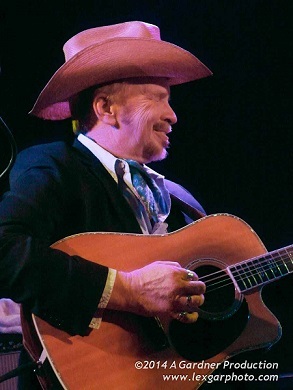 On Saturday, June 14th, I made my way to the Troubadour to see a set by Dave and Phil Alvin. There was never anything trendy about the Brothers Alvin and their hometown of Downey, California. While Downey and West Hollywood are less than thirty miles apart and are in the same county, they couldn’t have less in common. The Alvins however do have something in common; their love of that quintessential American music that is the blues in general and the music of Big Bill Broonzy specifically. 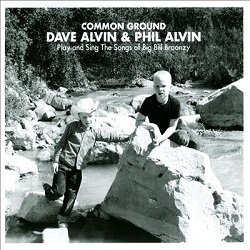 The Alvins have just released a new CD called, Common Ground: Dave Alvin & Phil Alvin Play and Sing the Songs of Big Bill Broonzy on Yep Roc Records. The two brothers first made a name for themselves with the Blasters. The band that was founded by Phil who sang, played guitar and harmonica. The ensemble featured his younger brother Dave on lead guitar. He was also the band’s principal songwriter. The band played a blend of blues, country, rhythm and blues and first generation rock and roll. 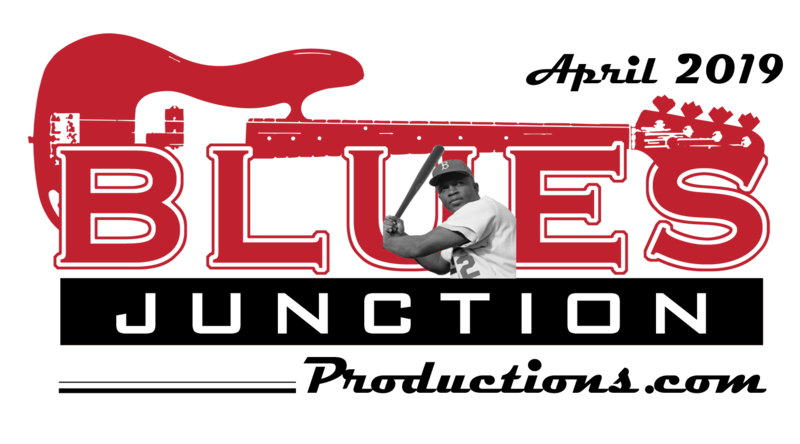 Since Dave split with the Blasters to pursue a solo career, the differences between two brothers have been well documented. According to Dave, “We argue sometimes, but we never argue about Big Bill Broonzy.” Although they have played together on stage with a greater degree of frequency in recent years, “Common Ground” is their first complete studio album the two brothers recorded together in almost 30 years. After a very long time they have indeed found common ground. On this Saturday night the set was dedicated to songs by Big Bill Broonzy. Broonzy, like the Brothers Alvin, enjoyed a career that spanned parts of four decades. His music also encompassed an eclectic mix of stylistic influences. From the late 20’s up until the time of his death in 1958, Broonzy played in front of audiences all over the United States and was also a big concert draw in Europe. He was also a prolific recording artist who amassed a large discography of original material. It is material from Broonzy that spans the decades that are reworked on Common Ground and that was performed at the Troubadour this evening. The set list included Bill Broonzy originals, numbers from the Blasters catalogue and selections from Dave Alvin’s solo career. Phil flexed his rather prodigious vocal chops and took on material written by Broonzy as well as his younger sibling, but also did some country yodeling via a Jimmy Rogers number, Never No Mo Blues and later in the evening dusted off the long time Blaster concert favorite, the James Brown deep soul workout, Please, Please, Please. It was Dave's band The Guilty Ones which is made up of Chris Miller on guitar, bassist Brad Fordham and drummer Lisa Pankratz who provided tight supportive backing. The band, The Far West opened the show. This group is billed as Americana or Roots musicians. This is the type of music that used to be called country before that genre of music was mainstreamed and watered down to make economic compromises for mass tastes. These guys had some chops and performed mostly original work. The phrasing and tone of lead singer Lee Briante reminds me of a young John Prine. 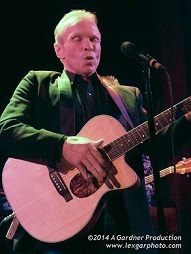 Being in the overly trend conscious enclave of West Hollywood and in The Troubadour where “the next big thing” booking policy is the norm, it felt great to be surrounded by the timeless music of Big Bill Broonzy and the Alvin Brothers.